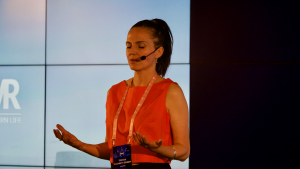 Tristan Elizabeth Gribbin, co-founder, and CEO of FLOWVR. Most of us breathe only at 20% of our lung capacity, so let’s make a real effort to breathe even deeper, really filling our lungs. By taking a conscious full breath, we immediately connect deeper within to ourselves. Our breath is the fundamental starting point of almost every meditation practice. Now let’s add a focus or intention – this could be a word or sentence that describes what we would like to gain in meditation – for example calm, clarity or energy, and as we think of this word or sentence and repeat it to ourselves, we continue to take some more deep breaths. We are now meditating with breath and focus combined. These two simple actions, to breathe and to focus, can be used at any time, day or night to access meditation’s benefits. Why do we need meditation now more than ever? The alarm goes off, we get out of bed, wash up and eat breakfast, if there is time. Scroll through notifications on the phone. Head to work. Check emails. Sort through endless notifications. Attend to a long list of to-dos at work. Attempt to work through a growing backlog. Go to meetings. Check the buzzing phone. Ask yourselves why are we here. Wonder about our fast-fading hopes and dreams. Take a 5-minute break, feeling distracted. Get back to work where there are more and more requests and responsibilities to tend to and it’s only mid-day. We are living in a stress epidemic in this day and age, and this is deadly serious and impacts us all. The World Health Organization has declared stress the “Health Epidemic of the 21st century”. If this is how our life looks, chances are we feel exhausted by the afternoon, not to mention the constant tinge of tension we feel crawling up the back of our necks and around the shoulder area, lower back, maybe even the entire body — stress. In addition, there is always an endless list of work-related tasks that need to be taken care of before the end of the day, so we push ourselves harder and our personal lives get neglected. Meditation is that simple. All it takes is 10 mindful minutes a day to recharge from a life that is constantly demanding our attention and energy. Still, most busy working people like us have a very hard time sitting still for 10 minutes with our eyes closed. 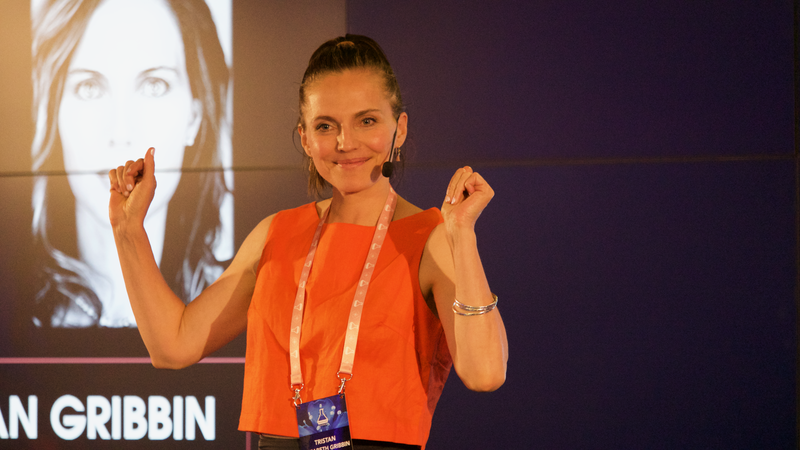 We are so accustomed to being on the move, running from one thing to the next, we’ve forgotten how to consciously slow down, connect and restore. This study shows that three out of five employees experience a high level of stress. Stress contributes to anxiety, depression, digestive disorders, heart diseases, sleep problems, weight gain, cognitive impairment, and many other health problems. Mindfulness practice improves attentional performance and emotional regulation by increasing the production of a neurotransmitter known as Gamma-aminobutyric acid (GABA) during the process. Research has shown that lower levels of GABA are closely linked to higher levels of anxiety and vice versa. Dopamine is a “feel-good” neurotransmitter that is often linked to the feelings of love, lust, motivation, attention, learning, and addiction. It is the substance that helps control the reward and pleasure centers of the brain. When we are feeling that sudden surge of motivation to take action towards a certain achievement, it is the works of dopamine. Dopamine levels increase during a sustained meditation. In turn, our body enters a state of deep relaxation when our dopamine level rises. Norepinephrine is one of the stress hormones that are released when we are experiencing stress. The purpose of norepinephrine is to keep us safe from physical danger by raising alertness when we are in potential danger. However, our adrenals will continue to pump out norepinephrine when we are under constant stress. Levels of norepinephrine in our blood is relative to our level of stress. Higher stress levels means more norepinephrine is released into our blood. The encouraging news is, research shows that norepinephrine blood levels will eventually reduce through meditation which leads to improvements in our quality of life. The amygdala, also known as the lizard brain, controls autonomic responses associated with fear, arousal, and emotional stimulation. When it picks up on environmental stressors surrounding us, the amygdala triggers a fight-or-flight response. We can think of is as our central security alarm circuit. Meditation has an effect on our amygdala. It will begin to shrink during the process thus weakening the connections between the amygdala. As a result, connections with our prefrontal cortex associated with attention and concentration becomes stronger. When not managed properly, stress can cost us our health, mental well-being, relationships, creativity, happiness, and so on. Annually, stress costs corporations hundreds of billions of dollars due to decreased productivity, rising rates of sick leave, and less engagement. Meditation applications such as Headspace, Muse, Calm, Omvana, and so on have a compounded annual growth rate of approximately 48 percent, as more and more people seek technological ways to reduce stress. The challenge remains that many of us busy people find it hard or even impossible to sit down and stay still for 10 minutes with our eyes closed. When we talk about meditation, the first image that usually comes to mind is of a person sitting absolutely still in a cross-legged position. The good news is there is no one set way to meditate. Meditation is an extremely personal experience that can be done while we’re lying down, sitting, walking, dancing, or merely swaying to a rhythm. We don’t even have to close our eyes if we don’t want to. For example, the Japanese practice known as shinrin-yoku, or forest-bathing, is a form of meditation that has a positive impact on our health and happiness. It is simply done by being in nature with trees, and connecting with nature through our senses. 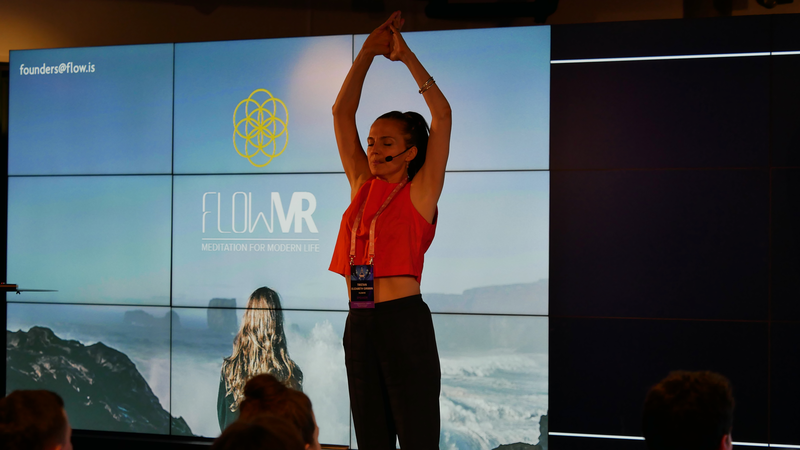 At FLOWVR, we combine Virtual Reality (VR) with a variety of 4-minute meditations in six modes for an immersive experience that eases users into their own very personal meditation. The power of FLOWVR’s unique software platform springs from stunning 360° degree videos of pure nature combined with our highly effective spectrum of modern-day meditation tools, and our expert use of carefully curated licensed music from international artists. The results are mesmerising and impactful. FLOWVR gives immediate access to meditation’s endless benefits through exponential technology. The way VR technologies engage with our senses to transport us to another world makes the meditation immediate and immersive. The six modes of FLOWVR are 1. Breathe, 2. Focus, 3. Move, 4. Let Go, 5. Calm and 6. Restore, which allow users to choose what kind of meditation they want or need each time. Move and Let Go are some of the favorites of our corporate customers, as they provide new, cutting edge ways to let go of stress. Moving our bodies can boost the power of our meditation experience. Letting go of stress and tension makes space for more of what we are looking for in meditation. All six modes of FLOWVR are demonstrated in my TEDx talk, How to meditate in VR. VR meditation can give a profound experience of meditation at any time, any where, and from the very first try. Even a single session of meditation can lower stress and anxiety levels. Interactions between VR and the brain has led to many applications in health and medicine that are used in the treatment of post-traumatic stress disorder, surgical training, and physical therapy. Scientists are also exploring whether VR can change social attitudes by allowing users to experience the world from another person’s perspective. Before we created FLOWVR, I was skeptical about how virtual reality could boost meditation. My background is rooted in meditation, not in tech and I have led hundreds of meditation classes and workshops. Now I have led over 50 FLOWVR sessions for corporates, involving FLOWVR meditation technology. We have witnessed positive outcomes again and again, over a thousand times with people experiencing FLOWVR meditation. Mixing meditation with VR successfully requires expertise and sensitivity. The FLOWVR team has over 54 years of combined meditation experience including significant time with enlightened spiritual masters. We also have award-winning filmmakers in our core team, www.arniandkinski.com who create our 360°nature videos, audio and visual content. The feedback we most often receive about FLOWVR is that people instantly feel calmer, relaxed, and more focused after every FLOWVR session. Meditation is the most important thing we can do in our lives. We meditate for an infinite number of reasons, as we are each unique. We can access benefits from within, like more peace, joy, and gratitude, the possibilities are endless. Meditation strengthens our minds. It helps us to be able to think intelligently when things go wrong, helps us to understand life, and to succeed personally and in business. Meditation helps us achieve the greatness that deep in our hearts we know is possible. Let’s meditate by all taking a really deep breath, tuning into our heart’s deeper desire, or longing, and choosing a focus that expresses from our heart what we are seeking in our meditation… and breathe deeply, relax into it, and trust what happens…. and we are already making progress. FLOWVR will be one of the exhibitors at the Biohacker Summit in Toronto, October 2018. Tristan Elizabeth Gribbin began her serious journey with meditation in the year 2000, is a seasoned meditation teacher and CEO / co-founder of FLOWVR. 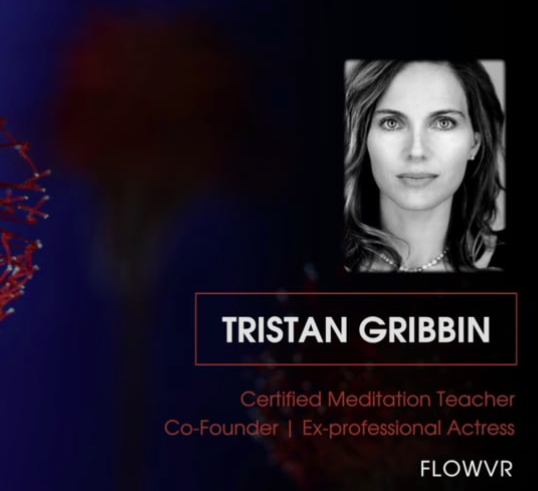 Tristan has led hundreds of meditation classes including dozens of FLOWVR corporate sessions. Find out more at FLOWVR website.